10 Best Flea Markets in Nebraska 4.4 out of 5 based on 10 ratings. 10 user reviews. 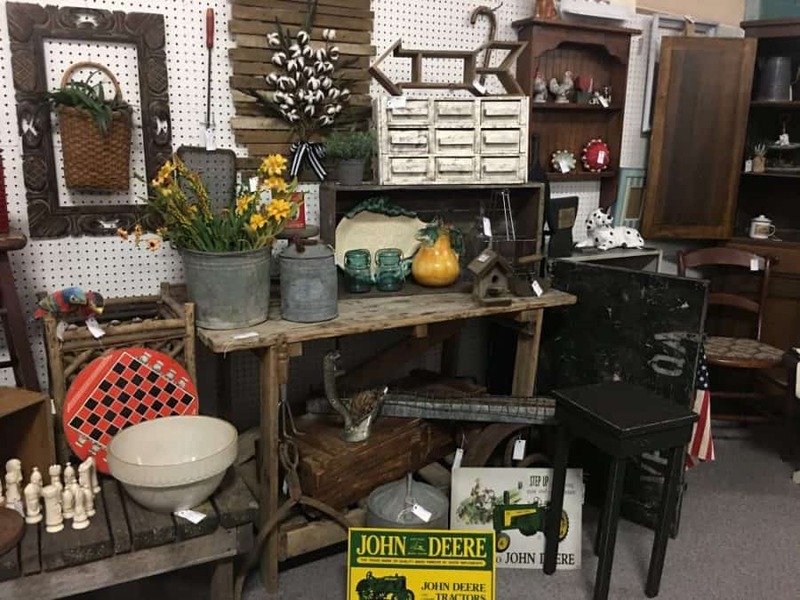 If you’re an antique enthusiasts searching for the best flea markets in Nebraska, you find yourself in the right place. The Cornhusker State is a state filled with small communities – in fact, 89% of the cities in Nebraska have fewer than 3,000 people. Suffice to say, it is a rural state, perhaps most famous for its large ranges and cattle industry. 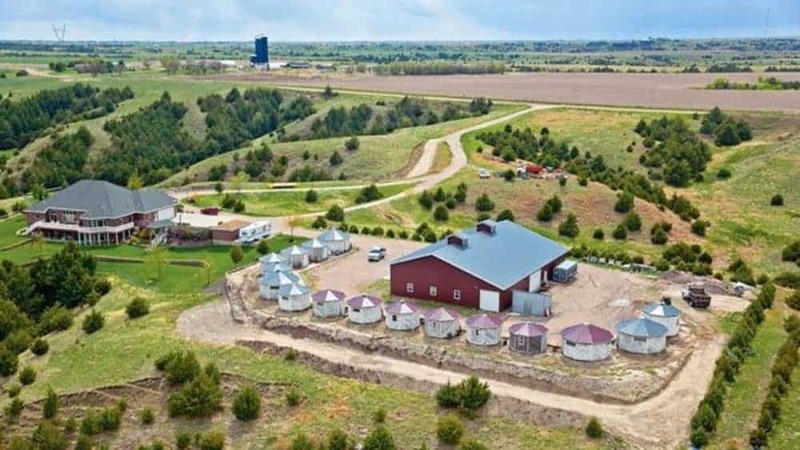 Nebraska is certainly one of the regions in the US that sprawling metropolises are yet to reach, and visitors are most often impressed by the natural landscape and laid-back way of life, than by its population density. 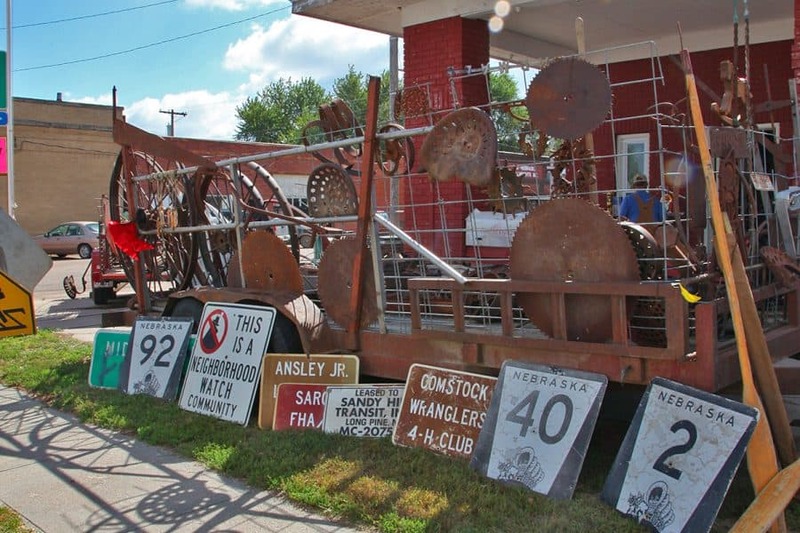 In fact, it is often in smaller communities that flea markets are most embraced – as a social event marked in the calendar as much as an important day for trade, and flea markets in Nebraska are friendly, welcoming and full of local history. 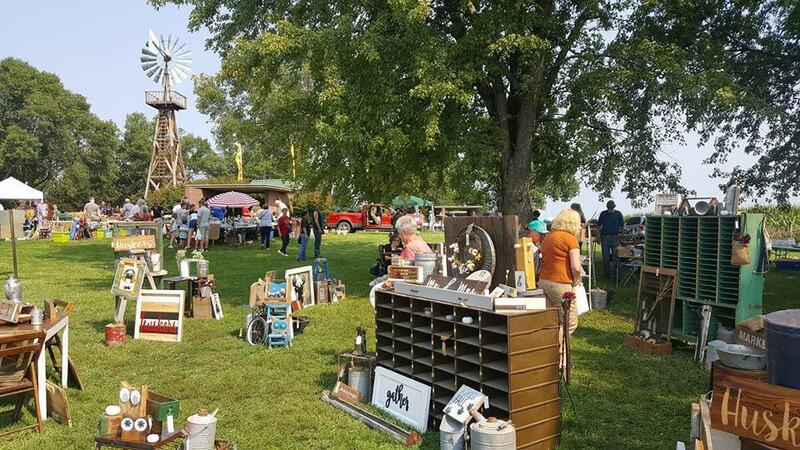 Here, we bring you 10 of the best flea markets in Nebraska, dates certainly worth marking in your calendar! Junkstock Omaha is a flea market that is the very definition of “grass roots”. It began with one lady, fueled by a passion for second hand items and her wanting to share this passion with the community. It stayed a one-woman-band for many years, until 2012 when it began its real growth into the 200-vendor-strong market that it is now. Junkstock stocks, of course, all the junk from people’s households that you can possibly think of, and vendors are very creative with ideas for refurbishment and reclamation. It is a great place to browse for inspiration for home décor, and it is really difficult to only browse and not buy! As well as the junk, there is live music and plenty of food. Buy a ticket for the weekend and enjoy everything that this festival-flea has to offer! Country Market Days is that great combination of both flea and farmers’ market, which means that as well as excellent second hand goods and curios to search through, there is also plenty of coffee and delicious homemade treats to keep shoppers charged through the day. This market is well known in the area and is a popular monthly event throughout the summer for both locals and visiting tourists. 100 vendors gather here and offer a great range of items for sale. There are tables full of jewelry, toys both new and vintage, purses, bags, mugs, chairs and more knick-knacks and curios then can be listed. The location for Country Market Days is also something quite specials, and makes a visit to this market all the more worthwhile. 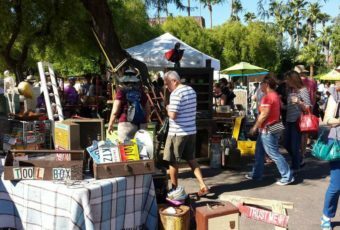 Junktoberfest brands itself as a Vintage and Artisan Gift Market. There are some stalls here that look like the type found at a typical flea, but the emphasis at this market is on design and local handcrafts. This is the place to come for any and all ideas for upcycling, reclamation and redesign of all, loved items. If something can be re-used in any way, the vendors at Junktoberfest have found a way to do it, and to make it look fantastic in the process. There is excellent furniture, memorabilia, collectibles of all shapes and sizes, decorative items, and plenty of curios for shoppers to mold in their own bespoke way! 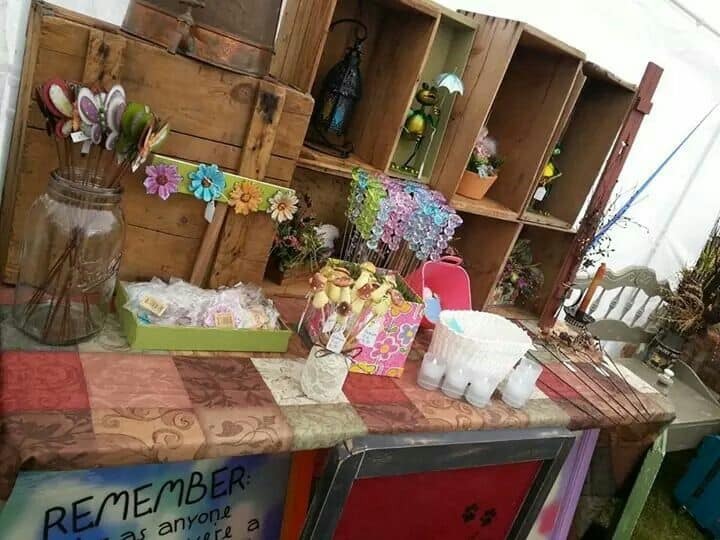 Junktoberfest is a great market to strike up conversation with creative vendors and find an item or a method with which to brighten up your home! For 13 years now, Nebraska’s Junk Jaunt has been wow-ing and delighting visitors and vendors alike. It features a sprawling collection of stands and stalls, stretching roughly 300 miles through the beautiful countryside. Communities, churches and any empty barn along the way are transformed into collections of second hand wonders and antiques for sale. 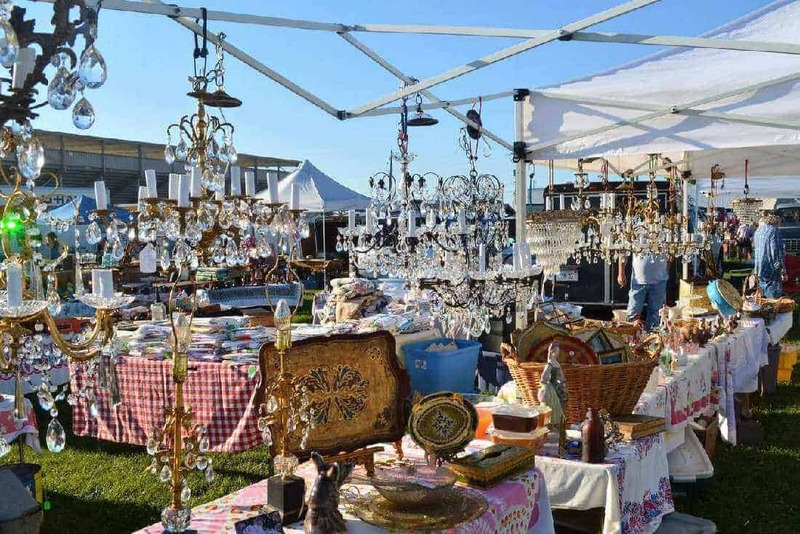 People travel from far and wide to attend this annual flea market, and those searching for specific antiques are sure to arrive nice and early. It is of course impossible to travel the whole length of Junk Jaunt, so it is generally advised to come with a game plan if you have specific needs; otherwise, enjoy a random stroll and any point along the way! Junk Jaunt Nebraska also offers plenty of food and entertainment en route, so be sure to make note of the dates and join the celebration. Grain Bin Antique Town is so much more than a flea market. This flea market began as a reclamation project of 20 historic, wooden, octagonal grain storage bins. These stunning buildings were linked together by a timber boardwalk, creating the feel of walking around a tiny town. Each building is filled with antiques, collectables and incredible vintage items. There are wonderful furniture sets, lamps, desks, decorative items, old farm tools, crockery and so much more. There are also some great ideas here for how to turn seemingly useless items into useful or beautiful pieces to add talking points to your home. Grain Bin Antique Town is something truly unique, and there is no other shopping experience quite like it. It feels very special to walk through. Brownville is an historic town, proud of its heritage and entices visitors with a developed interest in the local heritage and culture. Twice a year, it further embraces local history with a fantastic flea market, which has been running since the 50s. 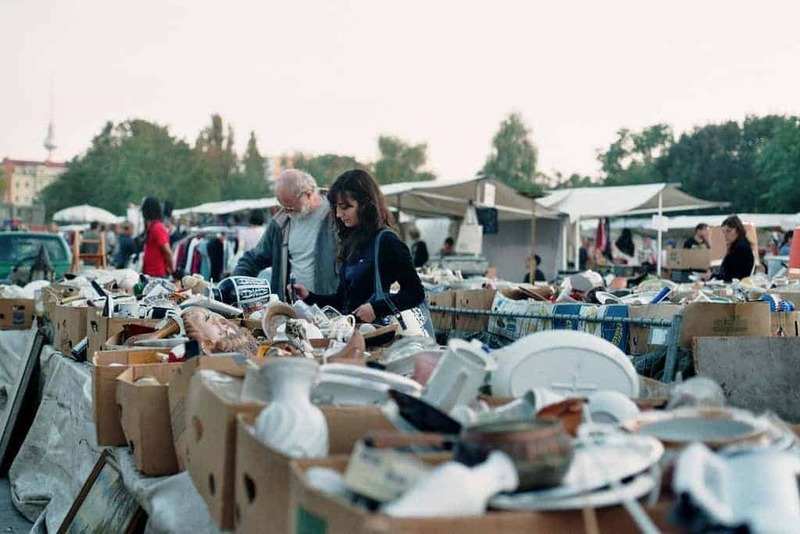 The flea market is a weekend event, and it is worth staying overnight in this town to make the most of all that is on offer. 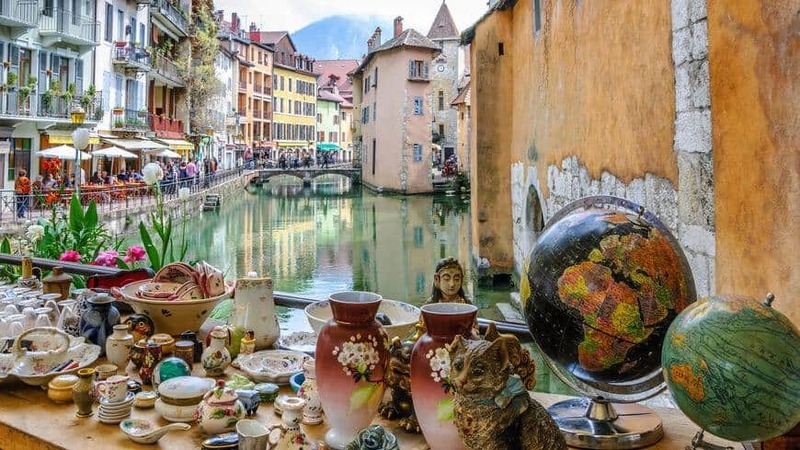 As well as excellent antiques including furnishings, tables and chairs, glassware, art, jewelry and toys, there are also items of excellent local handcrafts, food stalls, plants and more. Thousands of visitors head to Brownville Flea Market each time it is running, and it just keeps getting busier with both more shoppers and more vendors. 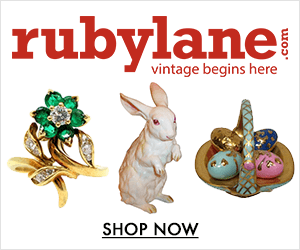 It is a lovely place to attend, for casual browsers and dedicated collectors alike. It may be a little out in the middle of nowhere, but A Collective Gathering is a really cute store that is worth a quick diversion to pop in. The owner is really welcoming and creates a very friendly atmosphere within. Any questions that shoppers have are quickly answered, and if specific items are being searched for then all efforts will be made to assist in the quest! 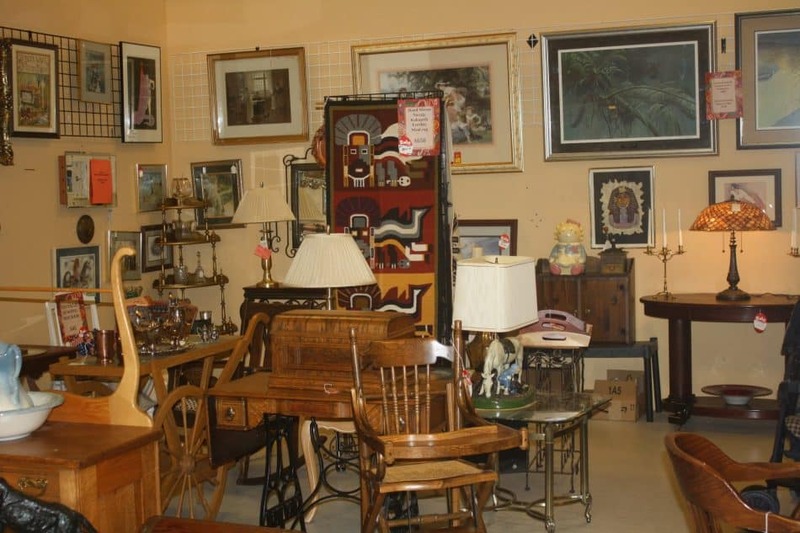 This second-hand & antique store features a nice selection of goods within, including small and large pieces of furniture, vases and other decorative glassware, toys, pictures, artwork, many quirky items and plenty of curios. 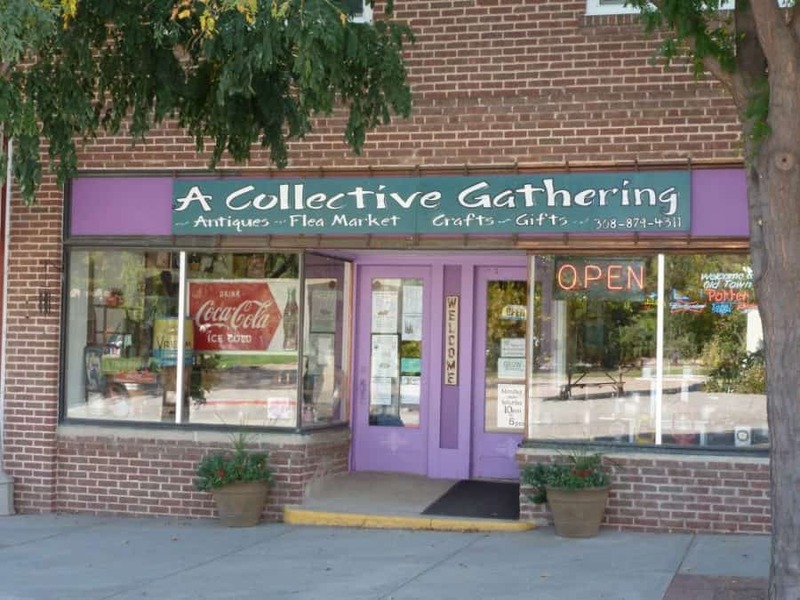 A Collective Gathering is a very crafty store too, with some pieces locally made and other original items sourced from a wide range of places. All in all, this store is created with a clear passion for all things unique, and should be a must-visit for all that enjoy objects with a history. As far as antique malls are concerned, Aardvark Antique Mall ticks a lot of the boxes for all lovers of antiques and vintage items. It is an excellent balance of dirty and clean, with prices well marked but still enough stacks of mystery that shoppers can feel satisfied by the hunt. The entirety of the mall is composed of different vendors, which creates a great variety in the style of the booths and types of items, and still pricing is fair and consistent throughout all. This means that it is not always necessary to hunt around to find a better price for similar objects, which is great as this mall is pretty huge so no need to waste time! Purses and bags need to be left at the front desk, which means both hands are free for rummaging and treasure hunting. 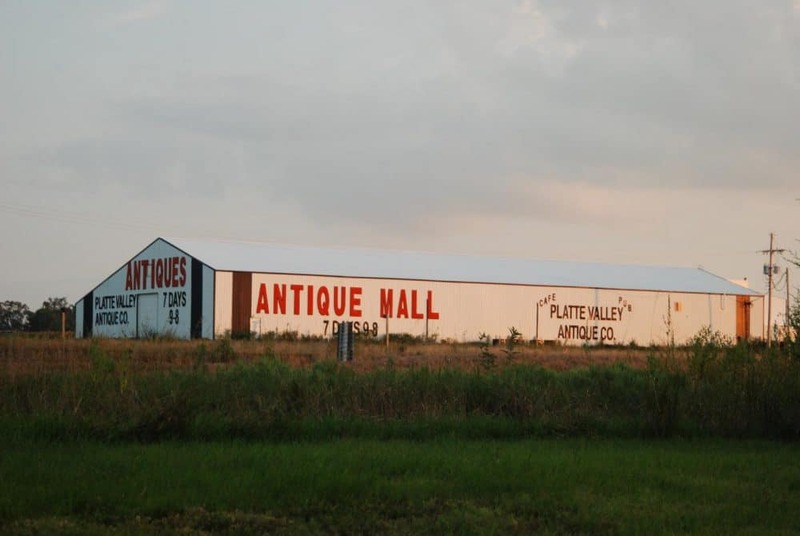 Platte Valley Antique Mall sets high standards for itself, and is careful to ensure that they are always met with every piece on sale within. They specialize in authentic antiques and older collectables, and do not accept any reproductions, handcraft items or newer collectables. This antique mall hosts around 150 dealers housed under one roof, and many customers of this mall are in the trade as a profession themselves. Platte Valley Antique Mall has a great reputation for the quality of the antiques sold, and the stall-holders are all very knowledgeable collectors themselves. The mall is very orderly and goods are displayed nice and clearly, so it is a super mall for browsing and having a good look at everything that is available. There are ceramics, globes, hunting tools and memorabilia, lamps, furniture, clocks, hats, urns, decorative items and so much more. Be sure to ask if you are searching for something specific. Otherwise, enjoy and be inspired! The Omaha Mega Market definitely lives up to its name. It seems as though there is literally everything inside this building and each of the hundreds of vendors within puts his own spin on the flea market theme! Among the many vendors selling at The Omaha Mega Market, there is a specialist store for sports memorabilia including lanyards, flags, coolers, helmets and anything else you can think of – it is a dream come true for any sports fans and collectors. 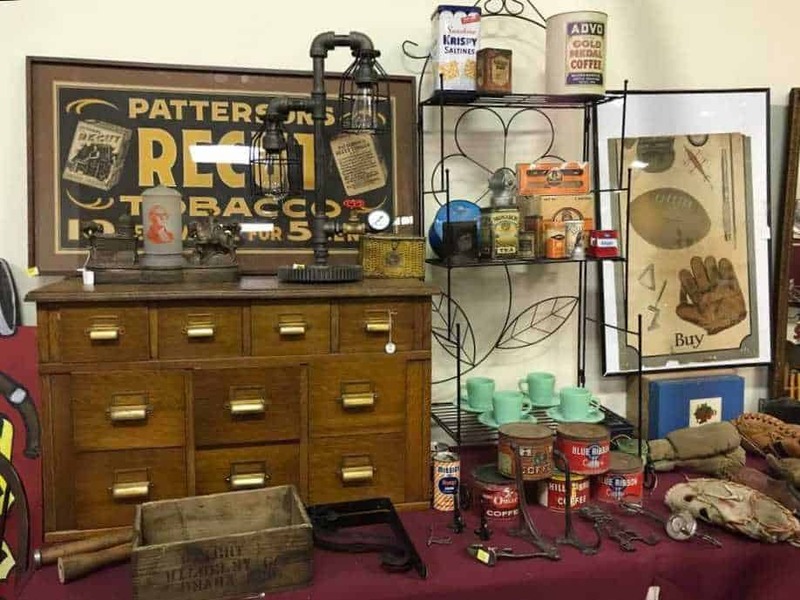 There are also stands focusing on quality antique items and vintage goods including toys, furniture, art, ceramics, religious icons and more, and even a vendor specializing in Avon memorabilia, proving that if it exists, someone out there is collecting it. The Omaha Mega Market is open almost every day, and still showcases a great variety of items that never look tired. It is a fun mall to visit, and will certainly tempt even the most determined window shopper to part with some cash. 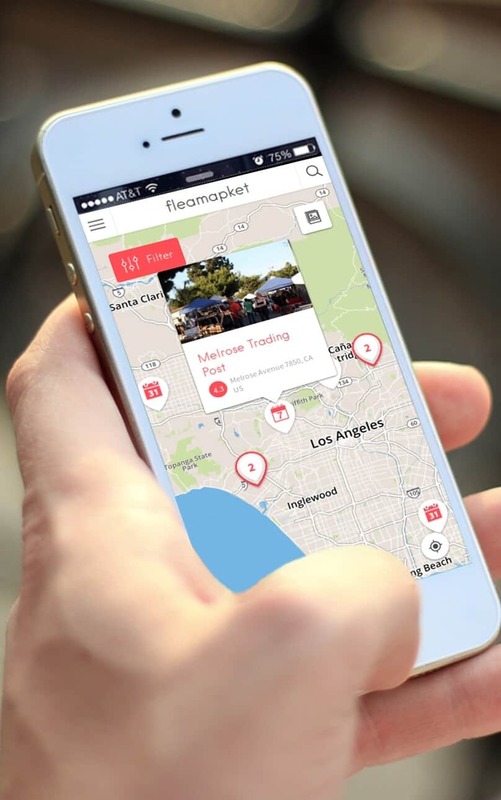 With our tool Fleamapket, you can view more than 100 of the best flea markets in the USA on a map! 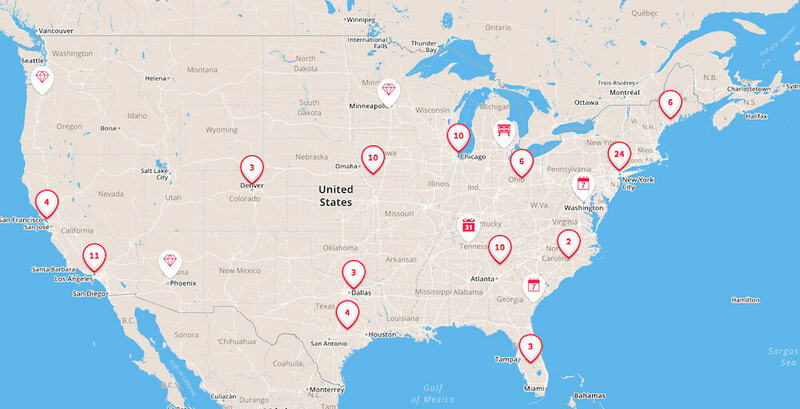 Not only did we include some of the US flea markets that made it into our ranking of the 10 Best Flea Markets in Nebraska, but we also added some of America’s most acclaimed antique fairs to the mix. This flea market needs to be on the list.